I have been dying to have a tee shirt like the one I made, but I wanted to choose what was exactly on the shirt so I decided to make my own! 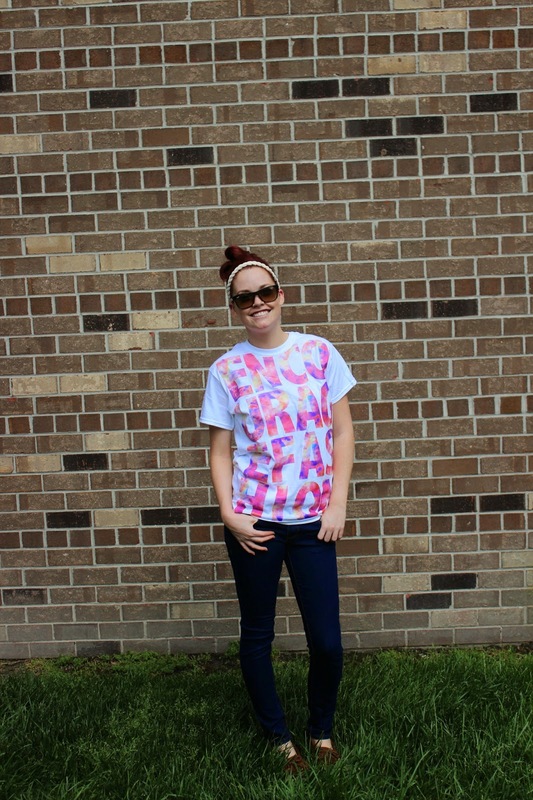 Here is how I made this adorable tee! I couldn’t find the perfect lettering and I wanted to make my own so I used the tutorial here and made my own letters in Photoshop. 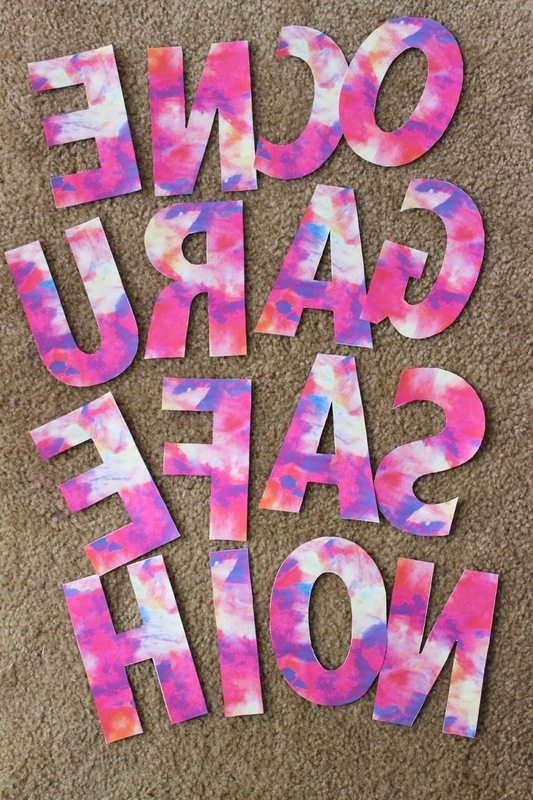 You can use the letters I made or make your own! I saved all of my lettering in an album on Photobucket. 1. 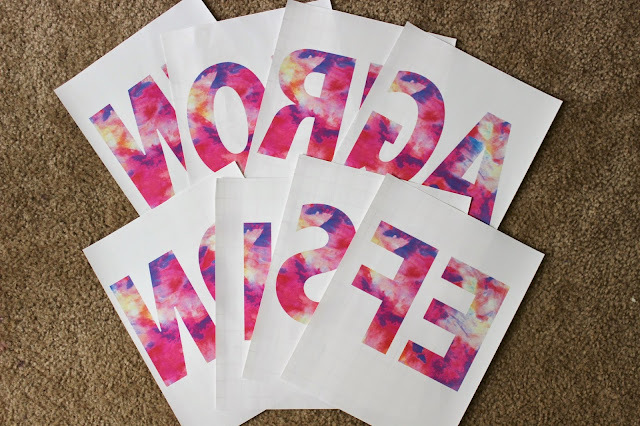 Decide what you want your shirt to say and follow the instructions for printing on the transfer paper. 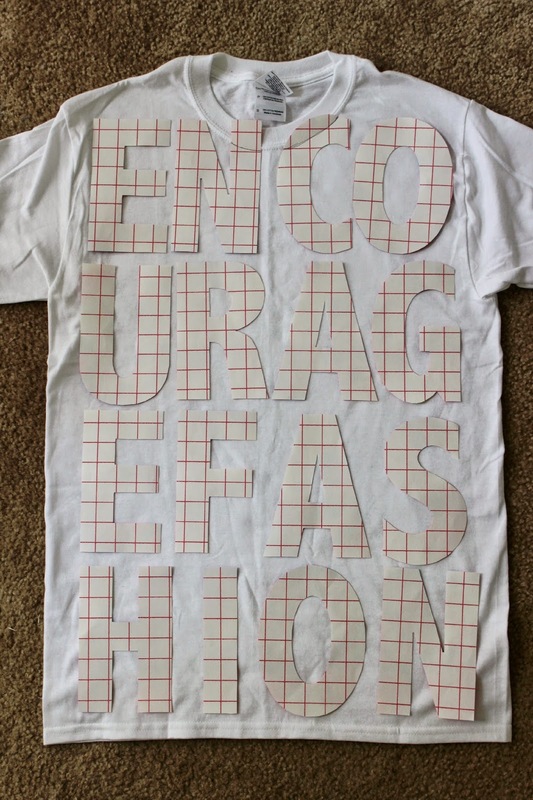 I just decided to make an encourage fashion shirt. Make sure to print the letters backwards! 2. Cut out the letters. 3. 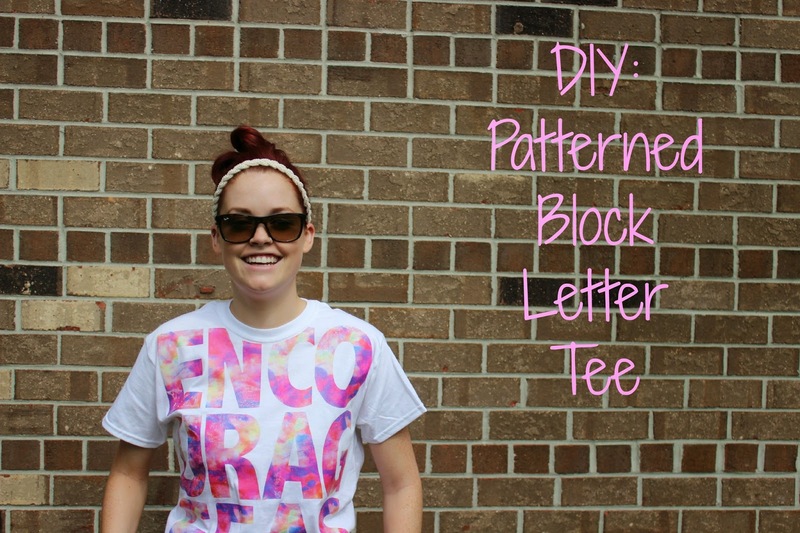 Lay out the letters on your shirt to get a good idea of what it will look like. 4. 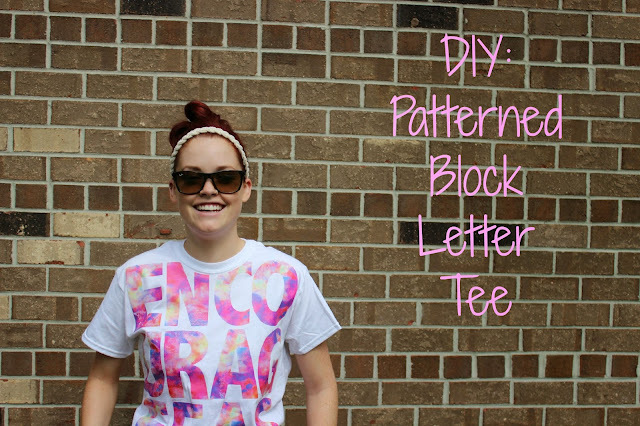 Follow the transfer paper instructions and iron the letters onto the shirt. 5. Let the shirt and letter cool down and remove the backing on the paper. And you’re finished! I really loved how this shirt turned out! I didn’t want the letters to be so perfect so I distressed them a little by running the iron lightly over the letter. I hope you girlies try this out and show me all of your tee shirts on Twitter or Instagram! If you are new to my blog feel free to follow me! you can follow me on BlogLovin’ too! This is so cool! I think I'll try it out.